A region is a circular area centered on a geographic coordinate, and you define one using a CLCircularRegion object. The radius of the region object defines its boundary. You define the regions you want to monitor and register them with the system by calling the startMonitoring(for:) method of your CLLocationManager object. The system monitors your regions until you explicitly ask it to stop or until the device reboots. 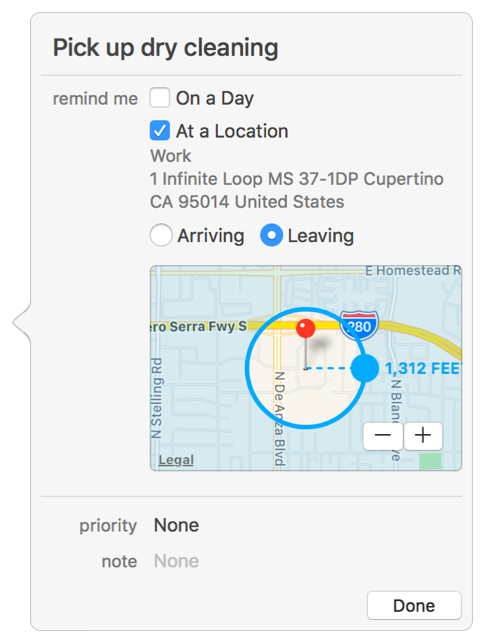 Boundary crossing notifications are delivered to your location manager's delegate object. Specifically, the location manager calls the locationManager(_:didEnterRegion:) or locationManager(_:didExitRegion:) methods of its delegate. If your app was launched, you must configure a CLLocationManager object and delegate object right away so that you can receive these notifications. To determine whether your app was launched for a location event, look for the UIApplication.LaunchOptionsKey in the launch options dictionary.